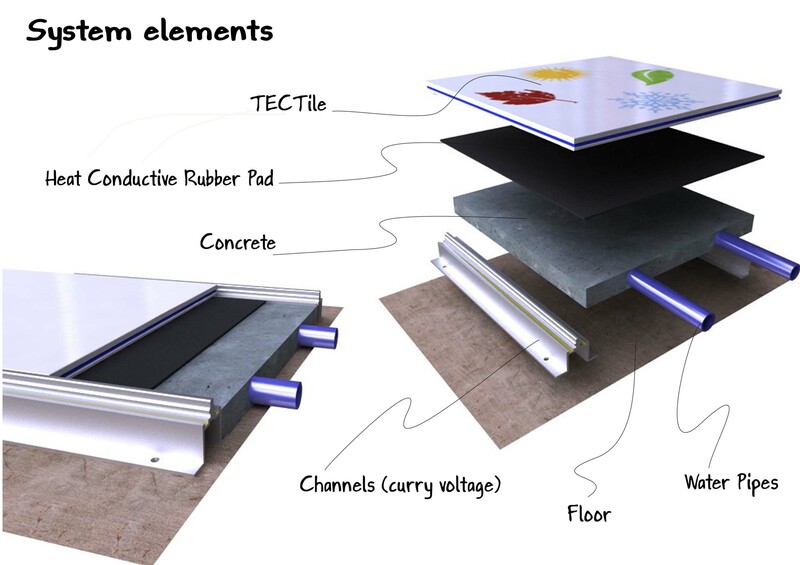 Designed for providing a smart solution, this thermoelectric tile floor system makes use of the unique characteristics of the Peltier material. This has the ability to generate cooling from one side and heating from the other side when electric current passes through it – it works as a heat load pump. 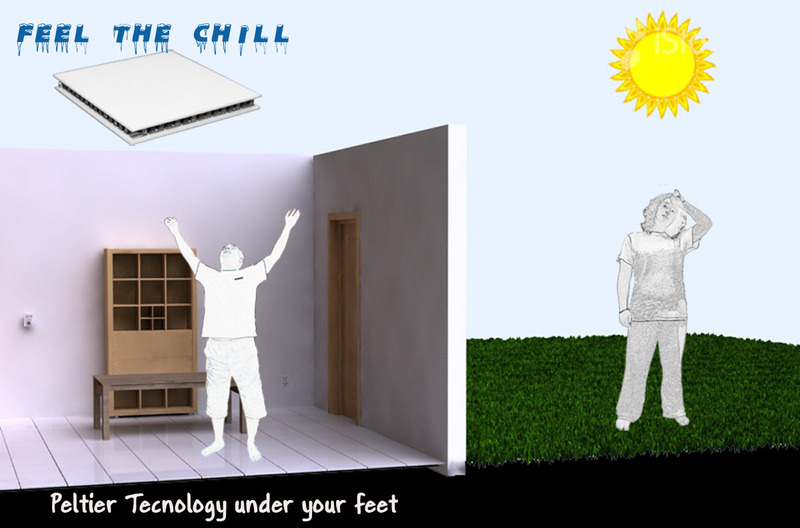 -Instead of heating/cooling the room, the system heats/cools people inside the room. -While heating it provides comfort at lower ambient air temperature of only 20°C to 24°C resulting in significant energy saving. -Thermal stability and better thermal distribution. -Eliminates dust problems associated with forced-air heating/cooling systems. -Offers versatility – choice of cooling or heating. 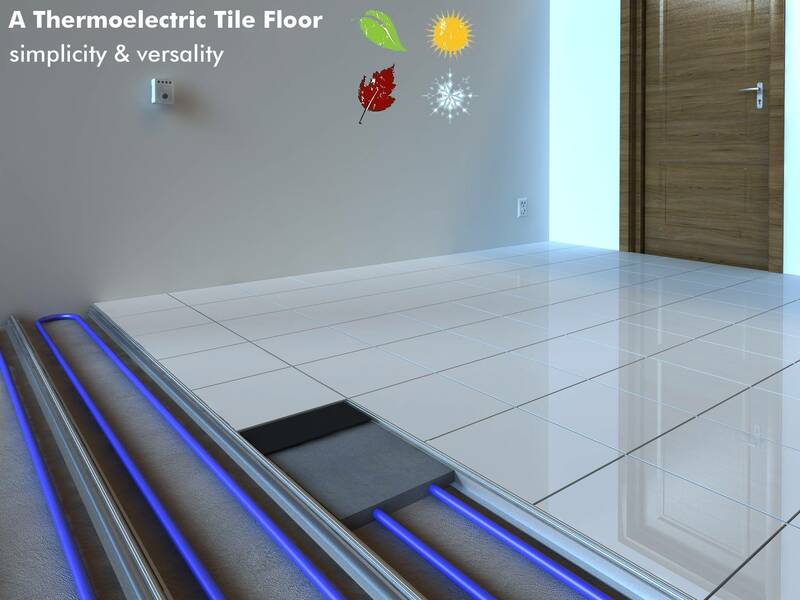 And some more advantages: It is high reliable, with fast action, completely noiseless, absolutely environment friendly, easily controlled, needs low maintenance and is characterized by high aesthetic style.